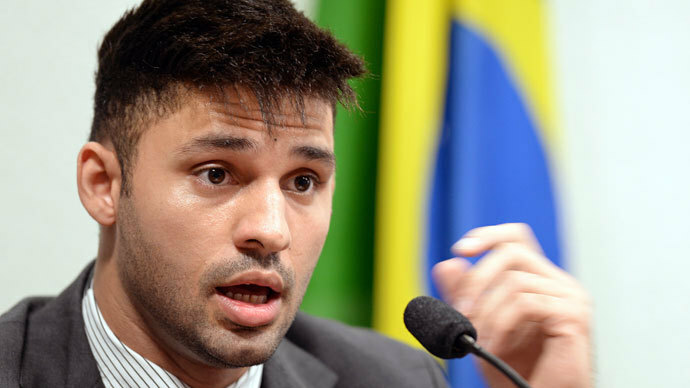 Holding David Miranda, who was carrying classified documents leaked by Edward Snowden to his partner Glenn Greenwald, at Heathrow airport last August was justified by ‘very pressing’ reasons of national security, judges said. 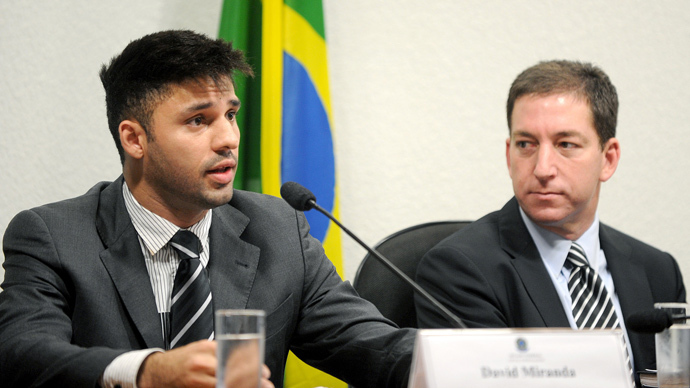 David Miranda, the partner of former Guardian journalist Glenn Greenwald, was carrying some 58,000 highly classified UK and US intelligence documents on an external hard drive between Berlin and Rio de Janeiro to “assist the journalistic activity of Greenwald.” After meeting the documentary film maker Laura Poitras, who had been working on disclosures by former NSA contractor, Edward Snowden, he passed through Heathrow on August 18 last year and was detained by UK security services. 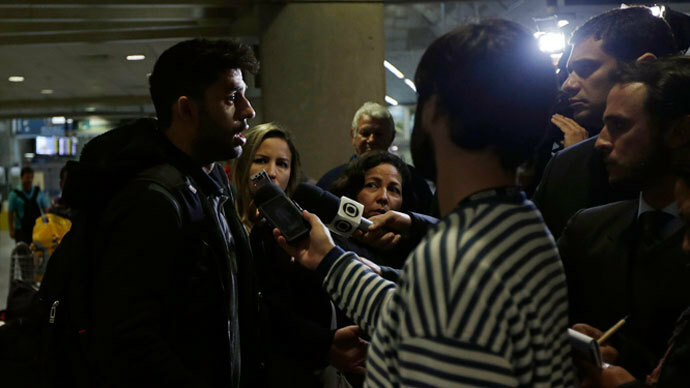 The material was seized by UK security services, who arrested Miranda and held him for questioning for nine hours under schedule 7 of the Terrorism 2000 Act. This is the maximum time permitted in the act before charges have to be brought and the authorities can act without having to prove reasonable suspicion, and without a lawyer needing to be present. On Wednesday, Lord Justice Laws, sitting in London with two other judges, concluded that Miranda’s detention was proportionate. The judge said there was "compelling evidence" that stopping Miranda was "imperative in the interests of national security," even though it constituted "an indirect interference with press freedom." 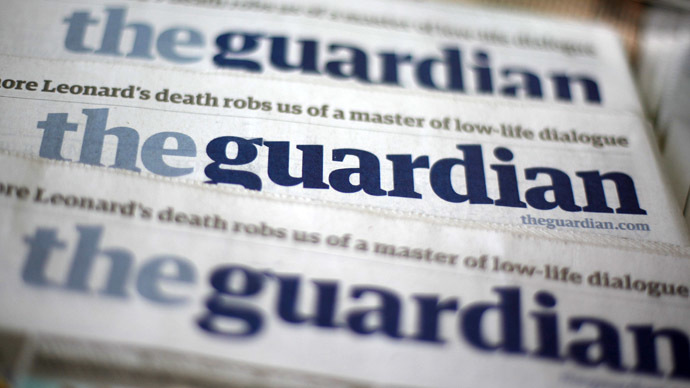 Glenn Greenwald, a writer and ex-journalist with the Guardian, told the court in his witness statement that the security services were aware that the material was to be used in connection with journalism not terrorism, and that there was no evidence that any disclosure had actually threatened anyone’s life, or endangered any specific operation. “In my view, this is not surprising, given the care we took not to create such a risk,” Greenwald said. Miranda said in his defense that the material was so heavily encrypted that he was unable to open it. But the judges dismissed these claims saying that there was a real risk they were jeopardizing national security by possessing such material. They also concluded that traditions of responsible journalism were trivial in comparison with a real threat to national security. Lord Justice Laws went on to say that neither Greenwald nor Miranda were in a position to accurately judge what was a threat or not, because that would depend on familiarity with the “jigsaw” of disjointed pieces of intelligence. Laws said he did not doubt evidence presented by Oliver Robbins, the deputy national security advisor to the Cabinet Office, that the material could cause great damage to security interests and even the loss of life. “In my judgment the Schedule 7 stop was a proportionate measure in the circumstances. Its objective was not only legitimate but very pressing,” said Laws. Steven Kovats QC, acting for the Home Secretary, had previously told the High Court that the material could have fallen into the hands of Al-Qaeda. 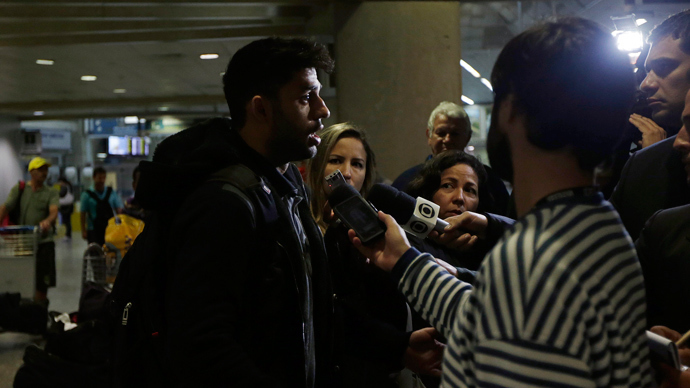 The judges also dismissed arguments put forward by Liberty, the National Union of Journalists and English PEN that Schedule 7 powers are arbitrary and do not have any safeguards to protect confidential journalistic material or sources. Miranda vowed to challenge their decision, “I will appeal this ruling, and keep appealing until the end. I’m of course not happy that a court has formally said that I was a legitimate terrorism suspect, but the days of the British empire are long over, and this ruling will have no effect outside of the borders of this country,” he told the Intercept website, where Greenwald is an editor. His solicitor also said that he had no option but to go to the court of appeal as the ruling meant that journalism will in future be conflated with terrorism. Glenn Greenwald said in statement put out by Intercept that the ruling showed the British government has got away with behaving like a repressive regime. "The UK Government expressly argued that the release of the Snowden documents, which the free world calls 'award-winning journalism', is actually tantamount to 'terrorism' - the same theory now being used by the Egyptian military regime to prosecute Al Jazeera journalists as terrorists. Congratulations to the UK Government on the illustrious company it is once again keeping,” he said. “This judgment overwhelmingly supports the wholly proportionate action taken by the police in this case to protect national security. If the police believe any individual is in possession of highly sensitive stolen information that would aid terrorism, then they should act. We are pleased that the court agrees,” she said.